An Elizabeth, N.J. police officer was charged this morning with shaking down undocumented immigrants for money, saying he would not turn them into authorities in exchange for payment, announced Union County Prosecutor Theodore J. Romankow. 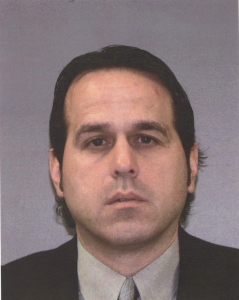 Rocco Malgieri DOB: 2/10/1968 of Brick Township is charged with 2nd Degree Theft by extortion, 2nd Degree attempted extortion, 2nd Degree Pattern of official misconduct, 3rd Degree Official misconduct, 3rd Degree Bribery and 3rd Degree Soliciting Bribes. Malgieri, who joined the force 19 years ago, turned himself in to Prosecutors this morning with his attorney Donald DiGioia, and immediately was immediately suspended without pay by the Elizabeth Police Department, said Romankow. According to the investigation, beginning in February 2011 Malgieri would make unwarranted motor vehicle stops of Hispanic men, question them about their residency status and threaten to report them to immigration officials unless they gave him money, said Romankow. The stops occurred while he was on duty. Currently there are seven victims who have reported that Malgieri solicited payments from them. The payments ranged from $100 – $150, according to the investigation, Romankow. Malgieri was released on a $20,000 property bond and is scheduled for a first court appearance on March 30. This remains an active investigation and anyone with information may call Sgt. Edward Koenig at (908) 527-4914.